Product #18712 | SKU LP36306 | 0.0 (no ratings yet) Thanks for your rating! 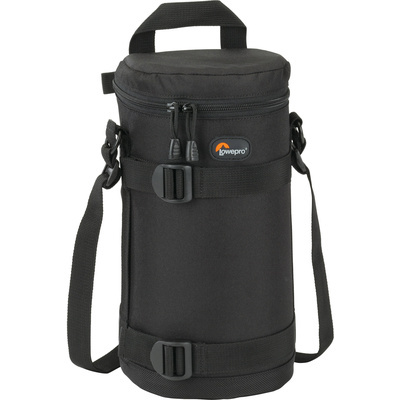 The black Lens Case 11 x 26cm from Lowepro is named for the dimensions of lenses it fits. For example, this lens case fits a lens up to 11cm in diameter by 26cm in height. The case comes with an adjustable, detachable shoulder strap along with a handy compression strap that you can attach to a backpack or shoulder bag. This offers more time to hold your camera rather than worry about where your lens is stashed. Backed by a lifetime warranty, and at an affordable price, you get superior lens protection and peace of mind when you're out in the field.